Now that Fiji has done apologising and dining and fete-ing the wrongly detained New Zealand journalists, it is time to get back to the crux of the issue and that is: Why or How was Freesoul allowed to carry on damaging the environment at Malolo Is. for 8 long months, illegally at that, before it was finally granted approval to begin construction work on its ambitious resort? It defies the imagination to think that government authorities (relevant ministries and departments) were unaware of the illegal activity that was taking place on the island. This is what the PM should concentrate his inquiry on unveiling, that is if he is sincere about his statement that Fiji does not permit any company to devastate its environment. He must carry out a full investigation on those “rogue” Ministers and department heads who allowed Freesoul to wreck the pristine beachfront environment at Malolo Island in defiance of our laws and proper procedures. Yes, Prime Minister. 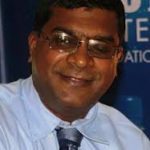 You have “rogue” Ministers who need to be thoroughly investigated for their complicity in the damage to Malolo Is by Freesoul: Attorney General Aiyaz Sayed Khaiyum, former Minister for Environment Praveen Bala and the current Minister Mahendra Reddy. It was under Minister Praveen Bala’s tenure that the villagers on Malolo Island and their lawyer, and other resort owners on the island filed reports, pictures and objections to the unlawful devastation that was taking place on the Freesoul site at Malolo Island. According to the villagers’ lawyer Dr Kenneth Chambers, officials visited the site from time to time but took no action to order stop work on the site. He also tells us that aerial pictures and reports on the damage caused by Freesoul to the land, the mangrove swamp and the foreshore were sent to the Attorney General in September last year. He took no action. We are informed that the Attorney General has close connections with some of the principals involved with Freesoul. Finally, Minister Reddy. How could he possibly grant approval to the Freesoul project at Malolo Island knowing full well that the company had been unlawfully working at the site and that it had caused serious damage to the environment there in the past 8 months. It defies logic that Minister Reddy grants approval to the Freesoul project in December 2018 and barely a month later, on 9 February 2019, takes them to court for carrying out unauthorized development and for defying a prohibition order. One must also ask why the Environment Ministry did not inform other stakeholders that it had finally granted approval to the Freesoul resort development project? Its failure to do so, deprived them of the opportunity to file further objections within a 21-day period. Meantime, faced with government’s refusal to take action in the matter, the villagers fearing the total destruction of their fishing ground and livelihood, took Freesoul to court. Since 1st June 2018, four stop work orders had been issued against the company – two of which were taken out by the iTLTB. But the work still did not stop. 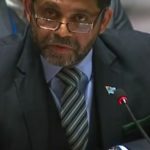 Prime Minister, the people of Fiji are entitled to an explanation on why your government, despite your very strong views on desecration of Fiji’s environment as stated in your statement of 4 April, did not take action to stop the damage being caused to the site at Malolo Island by Freesoul? FLP calls on you to investigate your “rogue” Ministers and make the results of the inquiry public. Some of these Ministers have had their names sullied by numerous other questionable decisions in the past 4 years or so. By all means conduct an inquiry BUT on your “rogue” Ministers, not on police officers. FLP believes the officers were merely carrying out orders from “on high”. All findings must be made public, Prime Minister, if your outrage against what happened, is to be believed. 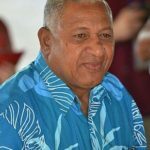 We say the approval granted must be immediately rescinded and Freesoul told to get out of Fiji. FLP calls for compensation to all who suffered loss or damage. It must be paid by Freesoul by way of a fine to be levied on them.